Hello again and happy Monday! It has been a very cold weekend here in Dallas, so I wanted to share with you this lovely winter coat that my sweet mother bought for me earlier this season. I have been wearing it non stop for the past few weeks. It easily dresses up any outfit and keeps me plenty warm in the snow. I just love the fur collar and the unique chevron pattern. Because it is more of a poncho then a true jacket, it is perfect for layering to keep me even warmer. 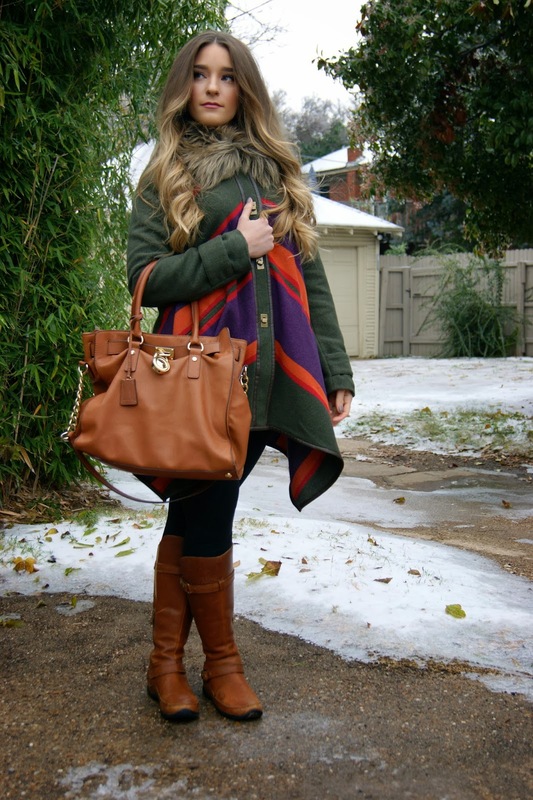 I hop you enjoy this chilly weather outfit!